On August 1, I set off for Colorado Springs to attend a Talent ID camp at the Olympic Training Center (OTC). This was one of the first times I had flown over this region of the United States during the day and/or while I was awake. This allowed for an amazing view of the Grand Canyon! Seriously, from the sky, the Grand Canyon looks as if the Earth forced herself open: flat, flat, flat. Bam! A gorge in the Earth. Amazing. Upon arrival at the airport, an OTC employee shuffled two other bike racers and me to the training center. We promptly set about building our bikes and then set off for a spin around the area. This region of Colorado experiences predictable thunderstorms starting at about 4pm and lasting to about 5pm. As we rode, we could see the thunderstorm approaching us as the breeze grew to gusts. Lightning shattered the gloomy sky and a small shower fell upon us. We headed back to the OTC, but I will admit that this weather was beautiful! There were about 13 women in attendance at this camp. I knew the two other California riders (Katie Donovan, formally of our team and now a member of Rouse and Emily Kachorek of Primal). The rest of the riders were from CO, NC, PA, DC, and SC. I learned later that USAC had identified us through either our race results or word of mouth. Our coaches for the camp were Renee Eastman (head coach), Ainslie MacEachran (tactical coach), Katie Compton (of cyclocross and mountain bike fame), and Alison Dunlap (of road and mountain bike fame). Each coach had something special to offer the riders, whether it was race strategy from Ainslie, bike handling and general race knowledge from Katie, or Alison’s real life experiences on the road, each coach had a different way of explaining things and a different experience that enhanced our learning potential. At the end of each day we, we met in a classroom for sessions on nutrition, race tactics, and round table discussions. Our first riding task was to re-con Cheyenne road where our field-testing would take place. The coaches prepared us for dry heat (actually my favorite riding conditions given where I live and train!) and we were off up the mountain. Cheyenne Rd. is a 5-12% grade (average approximately 8%). When we reached the top, we had our first skills class: descend a dirt road on our road bikes. Coach Katie gave us a quick and helpful session on how to descend in the dirt (always pedal!) and we set off down the hill. My first thoughts were filled with confidence as we started down the dirt road. I’m always getting lost on crazy dirt roads with loose soil- no big deal, right? I started my descent confidently and promptly fell down. I got back up, without a hint of shame and no confidence lost and started down again… and fell again… and again… and again… This was good bike handling experience for sure! The next day we did our field-testing up Cheyenne Rd. Our first test was a one-mile hill climb time trial. I rode the course first and decided how I would start (e.g., gearing, pace). I went off third (30 second intervals), starting in my big ring and got myself up to speed as quickly as possible. I worked to hold my highest effort for the whole one-mile. I finished with no clue how I performed (they later told me that I broke the course record with a time under four minutes, followed by former SC Velo-er, Katie with a time of just over 4 minutes- not too bad for SC Velo and alumnus!) The next time trial was a true hill climb- approximately 4 miles of climbing. I had decided that my goal would be 18 minutes and this time I started in the small ring and built my effort as time progressed. When I reached the top, I felt happy and perhaps a little too refreshed. Katie and I switched this time: she took the quickest time (of course), followed by me. Later this day, we headed out to the flats to work on pacelining, echelons, and team time trials. We split into teams of four- three campers and a coach. My team consisted of Coach Dave, Emily (an experienced TTTer) and Lindsay. This was my second TTT, as Ruth, Lisa, Dotsie and I took the state jersey and the course record earlier this year at Lake LA. As my team chased down the other teams (we started last), I pictured Dotsie at the Olympics with her team on the track. This was very motivating. My team was strong and well organized (thanks to Emily’s experience) and we definitely took the win here. After we finished, we learned that Team USA had made it through the first qualifying round in the women’s team pursuit. I was receiving detailed text updates on Dotsie’s Olympic run from Jacob, who had apparently decided that Earthquakes are second in line to Dotsie’s Olympic performance (he was right). I fed all of the information I got to Katie who was also keen to have spoilers on Team USA’s performance. In addition to our field-testing and TTTs, we also did a lot of skills work. This was really beneficial for the non-graceful and skill lacking me! We bumped elbows, which I know will come in handy in the big races, we bumped wheels, we scooped up water bottles from the grass while riding (yes, I even managed to do this), and we learned to bunny hop and stop quickly. 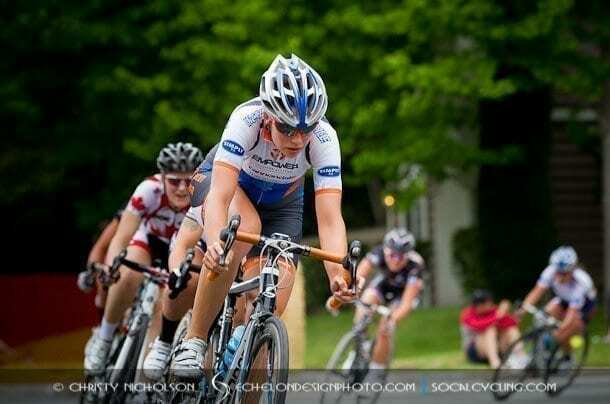 I am very grateful for these skills because I know my deficits in bike racing are experience and skills! We also practiced taking feeds in a feed zone and from a car. I was grossly un-prepared for the push that Ainslie gave me from the car that sent me straight to the front of the peloton. Again, these are skills that I know I will use and I am happy to have practiced. Our long ride day was also through the flats. I am from the mountains. I grew up in the mountains. I have since traveled outside of the mountains, but I am always amazed at how naked I feel in the plains. To the East of where we rode, there were open sky and a horizon that spread as far as my eyes could see, unencumbered by a single mountain or hill. Crazy! We pacelined and echeloned through the flats and in-between, I got to talk with Alison about her amazing career and the time she spent with our very own, cake frosting loving and crazy strong Pam! This was a great ride to end our camp experience- it was mellow with some learning moments and a few hard efforts in the paceline. Near the end of this ride I got the text update that Team USA had taken second in the pursuit- Dotsie is a silver medalist! In general, I learned some great skills from this camp that I will certainly put to use in my own racing. I also met and got to know some wonderful cyclists and great people. While I know that my skills and experience are sometimes lacking, I felt strong and well prepared for this camp. The coaches were incredibly helpful (Katie Compton really has a way of explaining and demonstrating bicycle maneuvers that makes sense to me!) Being at the OTC during the Olympics was a great experience. I was a little star struck being at the place where our Olympians live and train- the pools, the cafeteria; everything was built specifically for athletic excellence. We were well taken care of for our entire stay. I headed back home to share my experiences with my team and finish up my first full season of bike racing.